The Justice Department today announced the seizure of the largest criminal marketplace on the Internet, AlphaBay, which operated for over two years on the dark web and was used to sell deadly illegal drugs, stolen and fraudulent identification documents and access devices, counterfeit goods, malware and other computer hacking tools, firearms, and toxic chemicals throughout the world. The international operation to seize AlphaBay’s infrastructure was led by the United States and involved cooperation and efforts by law enforcement authorities in Thailand, the Netherlands, Lithuania, Canada, the United Kingdom, and France, as well as the European law enforcement agency Europol. On July 5, Alexandre Cazes aka Alpha02 and Admin, 25, a Canadian citizen residing in Thailand, was arrested by Thai authorities on behalf of the United States for his role as the creator and administrator of AlphaBay. On July 12, Cazes apparently took his own life while in custody in Thailand. Cazes was charged in an indictment (1:17-CR-00144-LJO), filed in the Eastern District of California on June 1, with one count of conspiracy to engage in racketeering, one count of conspiracy to distribute narcotics, six counts of distribution of narcotics, one count of conspiracy to commit identity theft, four counts of unlawful transfer of false identification documents, one count of conspiracy to commit access device fraud, one count of trafficking in device making equipment, and one count of money laundering conspiracy. 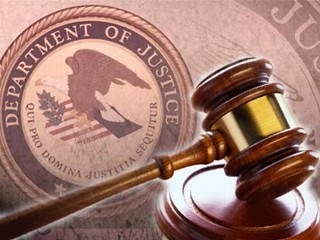 Law enforcement authorities in the United States worked with numerous foreign partners to freeze and preserve millions of dollars’ worth of cryptocurrencies that were the subject of forfeiture counts in the indictment, and that represent the proceeds of the AlphaBay organization’s illegal activities. On July 19, the U.S. Attorney’s Office for the Eastern District of California filed a civil forfeiture complaint against Alexandre Cazes and his wife's assets located throughout the world, including in Thailand, Cyprus, Lichtenstein, and Antigua & Barbuda. Cazes and his wife amassed numerous high value assets, including luxury vehicles, residences and a hotel in Thailand. Cazes also possessed millions of dollars in cryptocurrency, which has been seized by the FBI and the Drug Enforcement Administration (DEA). According to publicly available information on AlphaBay prior to its takedown, one AlphaBay staff member claimed that it serviced over 200,000 users and 40,000 vendors. Around the time of takedown, there were over 250,000 listings for illegal drugs and toxic chemicals on AlphaBay, and over 100,000 listings for stolen and fraudulent identification documents and access devices, counterfeit goods, malware and other computer hacking tools, firearms and fraudulent services. Comparatively, the Silk Road dark web marketplace, which was seized by law enforcement in November 2013, had reportedly approximately 14,000 listings for illicit goods and services at the time of seizure and was the largest dark web marketplace at the time. AlphaBay operated as a hidden service on the “Tor” network, and utilized cryptocurrencies including Bitcoin, Monero and Ethereum in order to hide the locations of its underlying servers and the identities of its administrators, moderators, and users. Based on law enforcement’s investigation of AlphaBay, authorities believe the site was also used to launder hundreds of millions of dollars deriving from illegal transactions on the website. An investigation conducted by FBI Atlanta and the U.S. Attorney’s Office in the Northern District of Georgia identified an AlphaBay staffer living in the United States. That investigation is ongoing. The investigation into AlphaBay revealed that numerous vendors sold fentanyl and heroin, and there have been multiple overdose deaths across the country attributed to purchases on the site. According to a complaint affidavit filed in the District of South Carolina against Theodore Vitality Khleborod and Ana Milena Barrero, an investigation into an overdose death on February 16, in Portland, Oregon, involving U-47700, a synthetic opioid, revealed that the drugs were purchased on AlphaBay from Khelborod and Barrero. According to another complaint affidavit filed in the Middle District of Florida against Jeremy Achey, an investigation into a fentanyl overdose death in Orange County, Florida, on February 27, revealed that the lethal substance was purchased on AlphaBay from Achey. Charges contained in an indictment and/or complaint are merely allegations, and the defendant is presumed innocent unless and until proven guilty beyond a reasonable doubt in a court of law. This operation to seize the AlphaBay site coincides with efforts by Dutch law enforcement to investigate and take down the Hansa Market, another prominent dark web market. Like AlphaBay, Hansa Market was used to facilitate the sale of illegal drugs, toxic chemicals, malware, counterfeit identification documents, and illegal services. The administrators of Hansa Market, along with its thousands of vendors and users, also attempted to mask their identities to avoid prosecution through the use of Tor and digital currency. Further information on the operation against the Hansa Market can be obtained from Dutch authorities. The operation to seize AlphaBay’s servers was announced by Attorney General Jeff Sessions; Deputy Attorney General Rod Rosenstein; Acting Assistant Attorney General Kenneth A. Blanco of the Justice Department’s Criminal Division; U.S. Attorney Phillip A. Talbert for the Eastern District of California; Acting Director Andrew G. McCabe of the FBI, Acting Administrator Chuck Rosenberg of the DEA and Europol Executive Director Robert Mark Wainwright. The case is being investigated by the FBI including FBI Sacramento Field Office and DEA, with substantial assistance from the IRS-CI. U.S. Immigration and Customs Enforcement’s Homeland Security Investigations also assisted in the investigation. The case against Cazes was prosecuted by Assistant U.S. Attorneys Paul A. Hemesath and Grant B. Rabenn of the U.S. Attorney’s Office for the Eastern District of California, and Trial Attorneys Louisa K. Marion and C. Alden Pelker of the Criminal Division’s Computer Crime and Intellectual Property Section. Substantial assistance was provided by the Department of Justice’s Office of International Affairs and Special Operations Division. Additionally, the following foreign law enforcement agencies provided substantial assistance in the operation to seize AlphaBay’s infrastructure: Royal Thai Police, Dutch National Police, Lithuanian Criminal Police Bureau (LCPB), Royal Canadian Mounted Police, United Kingdom’s National Crime Agency, Europol, and French National Police.